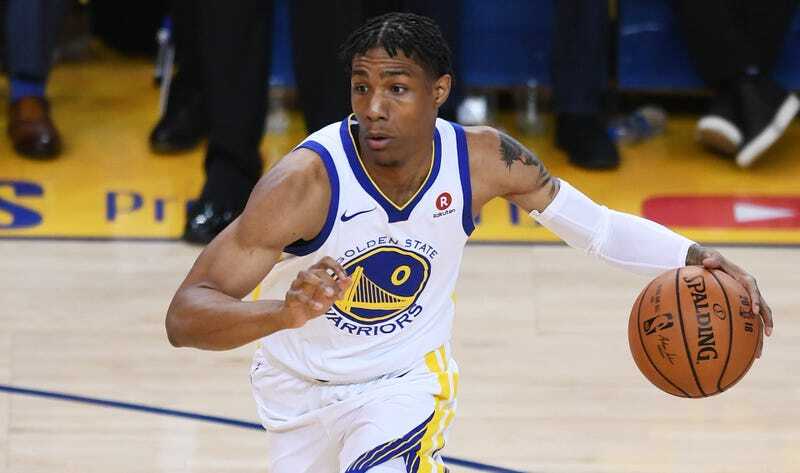 Swingman Patrick McCaw spent the last two seasons with the Warriors, playing 16 or so minutes a game and providing the team with wing depth. He started a few playoff games, struggled with his confidence, did some cool dunks, and won two rings. This offseason, though, he refused to re-sign with the team and remained the league’s last available restricted free agent as training camps started in September. Thus began one of the more protracted and oddest free agency holdouts in recent memory. McCaw, now 23, seemed destined to become a key part of the Warriors rotation ahead of the 2017-18 season after Andre Iguodala toasted him as “next” during the 2017 championship parade and talked about wanting to get McCaw paid. But McCaw struggled last season, and he even volunteered for a D-League demotion in February. After suffering an awful back injury in April, he missed most of the playoffs, and he entered restricted free agency last offseason in decidedly worse negotiating position than he had been in a year prior. The Warriors wanted McCaw back, and they extended a $1.7 million qualifying offer last June. Even though he rejected it, the team was still in position to match any offer sheet that McCaw signed. Nobody offered a larger contract than the Warriors had (two years, $5 million), yet he still held out, probably in hopes of a more lucrative deal elsewhere. Finally, the Cavs signed him to a two-year, $6 million offer sheet on Dec. 28, which the Warriors elected not to match despite initial reports that they planned to. McCaw played three games and 53 total minutes for the Cavs before the team waived him on Monday, the NBA’s deadline for players on non-guaranteed deals to either be waived or have their contracts guaranteed. It seems like Cleveland pretty clearly signed McCaw to a deal they knew the Warriors wouldn’t match simply to cut him and get him out of restricted free agency. Ominously, the Warriors refused to comment on whether they’d ask the NBA to investigate the saga. McCaw cleared waivers today, which makes him, finally, an unrestricted free agent. Several teams are reportedly interested in him, including, somehow, the Cavaliers and Warriors. The net result here is that McCaw’s rights no longer belong to the Warriors, and teams are free to try to sign him to the sort of deal they knew Golden State would likely match. The funniest result here would be McCaw signing a two-year, $5 million deal with the Warriors after all of this crap, though I doubt that’d be a reunion either side would be happy with.